The Insinger RL-30 high-temp undercounter dishwasher has 120-second wash and rinse cycles and can wash 30 racks in an hour. Wash and rinse cycles are thermostatically controlled and timed, while water temperature controls monitor rinse water to ensure sanitization. Front-mounted controls simplify operation, and indicator lights are included for power heat and draining. All control components are mounted in a splash-resistant box for protection, and this box slides out for maintenance and service access. Chemical dispensing pumps are built into the Insinger RL-30 rack undercounter dishwasher, operating automatically. Removable and refillable chemical containers are included, and operators can also monitor chemical levels from the front of the unit. 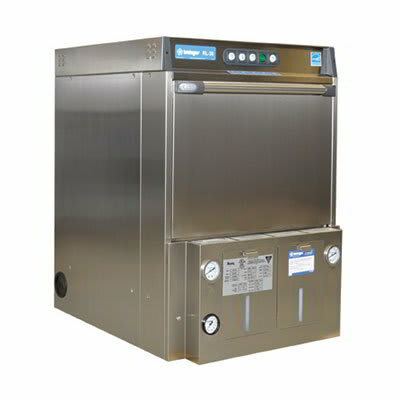 This unit is a high-temperature unit, so it uses hot water during the rinse cycle to sanitize dishes. Its booster heater raises the water temperature so it is hot enough to properly sanitize. Can wash 30 racks per hr. Our article covering undercounter units has in-depth information on these dishwashers' features. "Constantly breaks down.....not the best of help from the service dept at Insinger. Long waits for parts delivered...."
"Purchased the product approximately one year ago. Selected the RL-30 dishwasher for my commercial foodservice operation because it only requires..."
"We chose this model beacause we were told it would fit our needs, unfortunatley it is a bit of a time waster. 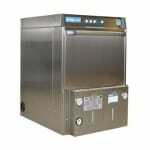 We are a school that serves about..."
Value in Commercial Undercounter Dishwashers! "Purchased the product approximately one year ago. 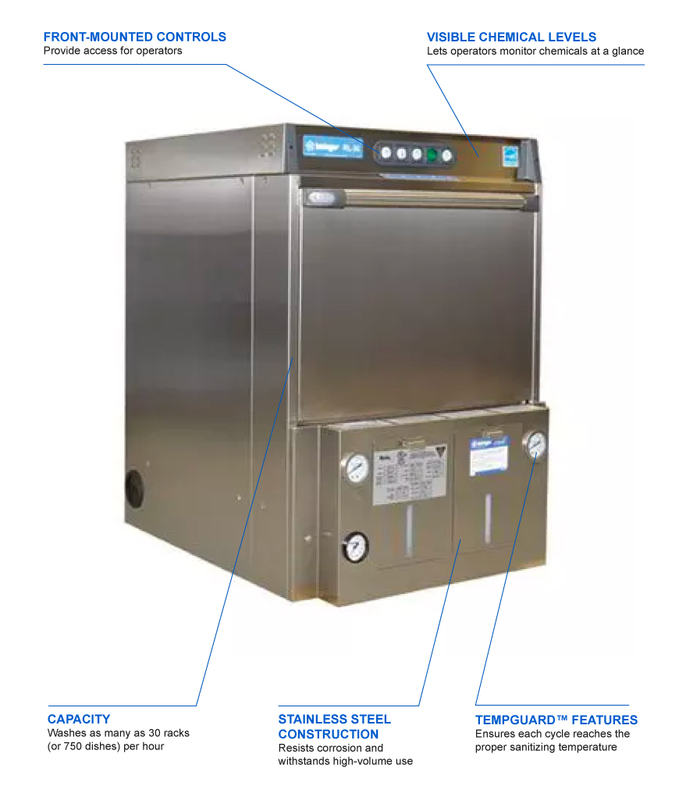 Selected the RL-30 dishwasher for my commercial foodservice operation because it only requires a 20 amp circuit and meets the Americans with Disabilities Act (ADA) requirement unlike the Hobart or Jackson under counter dishwashers. Factory support is superb. Had problems with installation and called Insinger for help. Jason in Technical Support walked us through the CORRECT installation and resolved the issues (our fault!). Machine works better than expected. Easy to clean and drain at the end of each day. Buying from Katom is easy and fast, not to mention saving hundreds from local vendors. Would definitely purchase again! Thanks, Insinger!" "We chose this model beacause we were told it would fit our needs, unfortunatley it is a bit of a time waster. We are a school that serves about 200 kids a day hot lunch. I am only able to do three loads than I have to wait 5 - 10 minutes for the dishwasher to heat up and reach the appropriate temperature. Wouldn't recommend for high volume users."